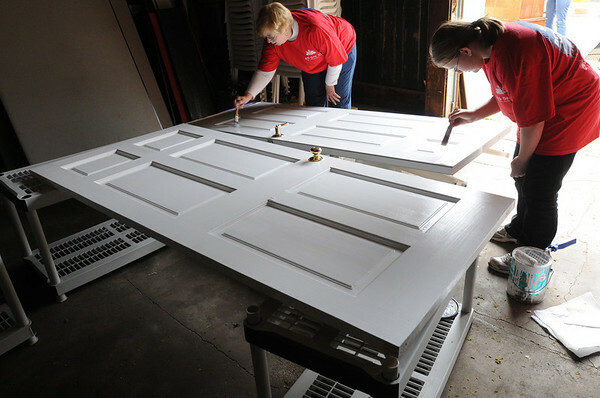 Katharine Pearce, of Wenham, left, and Mary Giles, of Beverly, paint doors at Beverly Bootstraps located on Cabot Street. About 50 volunteers from Keller Williams Realty fanned out across Beverly on Thursday for the annual Red Day of volunteer work. Photo by Ken Yuszkus/Salem News, Thursday, May 12, 2011.